Steeping into wet conditions? Then these Chippewa boots make it no problem. Why? The waterproof design of the Chippewa Men's 25225 Tan Waterproof USA-Made Boots provides excellent water-resistance, with quality features you'll wish you knew about much sooner. T ... (see full details) (see specifications) #CHP25225. Steeping into wet conditions? Then these Chippewa boots make it no problem. Why? The waterproof design of the Chippewa Men's 25225 Tan Waterproof USA-Made Boots provides excellent water-resistance, with quality features you'll wish you knew about much sooner. To begin the analysis, the men's boots platform incorporate Chippewa's Chip-a-Tex manufacturer guaranteed waterproof and breathable liner (which utilizes Dri-Lex Vamp in the overall design). This strategy has created one heck of a pair of waterproof boots. With an excellent grade of tan waterproof leather and Vibram Duralogical yellow plug outsoles, you'll also enjoy high quality Goodyear leather Welt construction that stitches the rugged uppers to the tough outsoles. Read on to see where a great look and fit merge to create a wonderful pair soft toe industrial American-made boots. The tan boots include outsoles have a low tread profile that can be good for working people who are concerned about the potential of tracking water or debris in customer's homes or offices (attention delivery workers), as the durable outsoles are oil- and slip-resistant, and they're manufactured with a non-marking design that won't mar tile floors. Texon 460 waterproof insoles provide your feet with valuable comfort all day long. Triple-ribbed shanks give you that extra support your arches need, along with the 4 iron rubber midsoles. You can seal up your feet in this water-resistant footwear using the heavy duty wax sta-tied laces, while the tough, non-tarnishable antique brass hardware holds the laces in place. Looking for a great value in work footwear? Then look no further. The Chippewa Men's 25225 Waterproof USA-Made Tan Leather Boots are the right option for you. Buy a pair and enjoy years of hassle-free wear. If you like what this boot has to offer, but you're looking for more protection, take a look at the steel toe version of this boot, the Chippewa 25227. In the market for insulation? The Chippewa 25228 soft toe and the 25230 steel toe boots are additional variations of this men's footwear. 26 out of 26 people found this product review helpful. I've owned only one type of work boot in my life, and its these Chippewa Boots. Strong, waterproof, and even looks decent. Literally went on 12 years with the first pair, now a couple into the second. Worth it. The quality is absolutely there. This is a great pair of boots. I've owed several pairs of Chippewa boots. This pair was a little narrow, but broke in good. I never had to break in Chippewa boots before. They fit good right out of box. I'll probably buy a wide pair next. And yes I'll be buying another pair. Just ordered these. They are the second pair of Chippewa boots I will have. The first pair were awesome. The leather and style are great. I could wear these all day. Can't wait to get these. Hurry-up Chippewa! 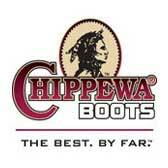 A lot of boots talk tough but Chippewa wrote the book. Outstanding value for money, boots you can count on. I like the padding around the top among lots of other features. A very nice working boot. Has really held up with a lot of hard wear. Thinking about buying another pair. Chippewa Boots: Men's Waterproof 25225 USA-Made Tan Work Boots is being added to your cart.